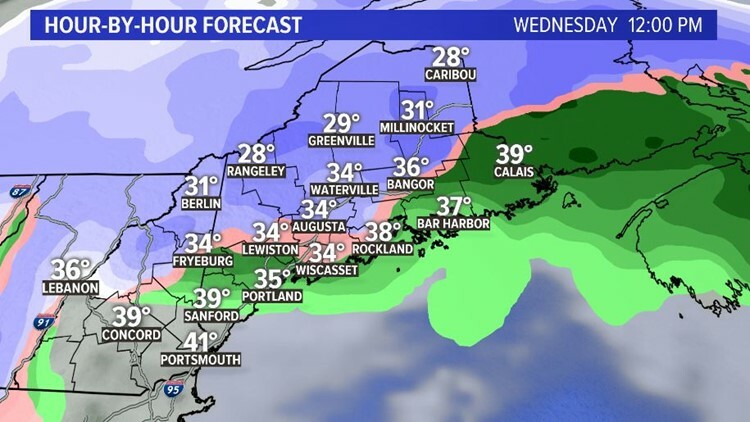 Snow starts this morning and will start to change over to rain at the coast in the late morning/early afternoon. 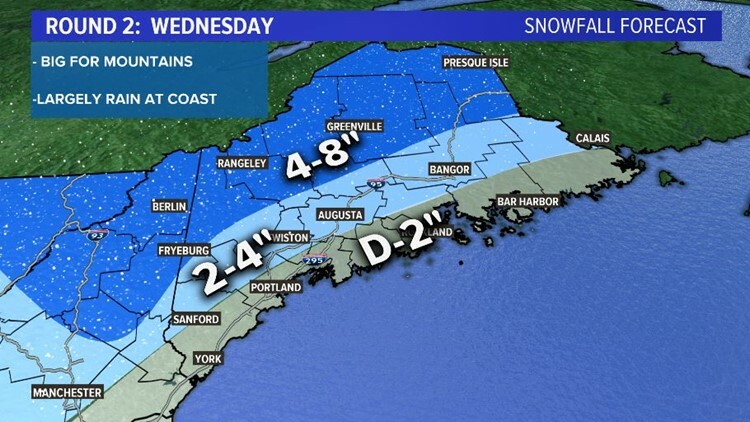 Farther inland it'll change over later in the day. 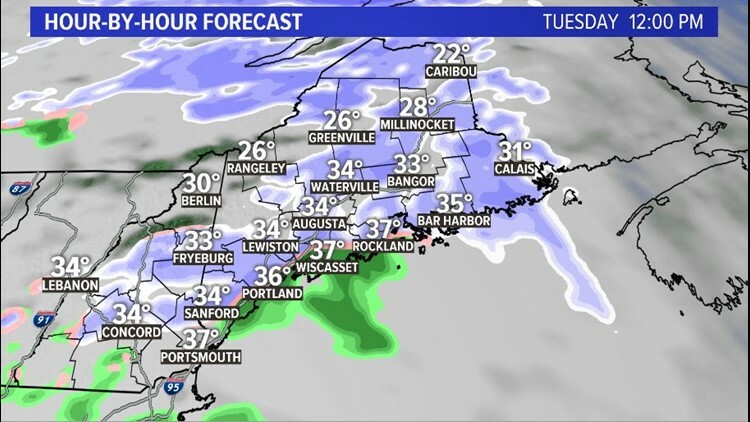 Looks like the mountains will stay mainly snow. 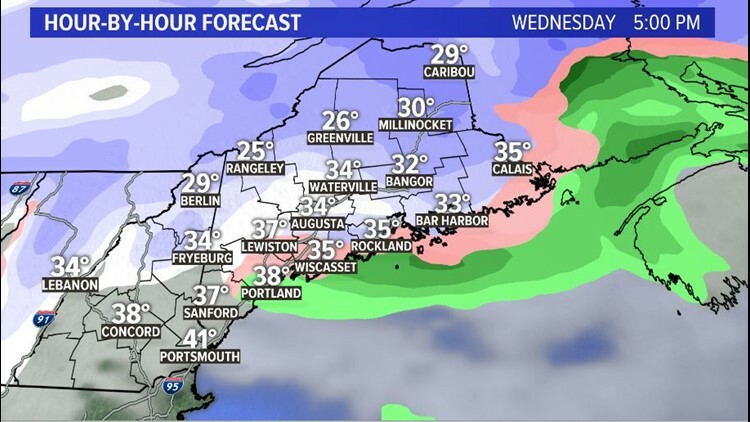 On Wednesday, we'll all start as rain, except for the mountains, then change over to snow in the afternoon. 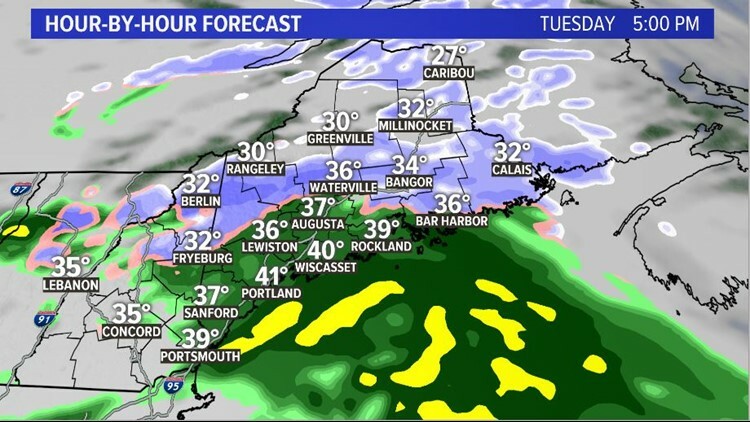 By Wednesday evening, snow will start moving out of the area. 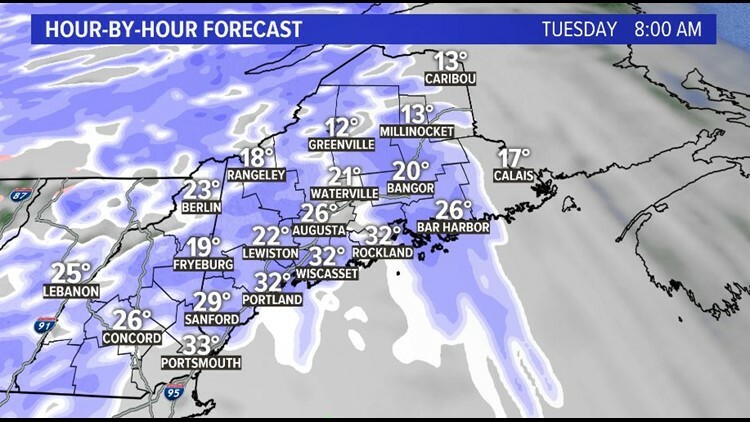 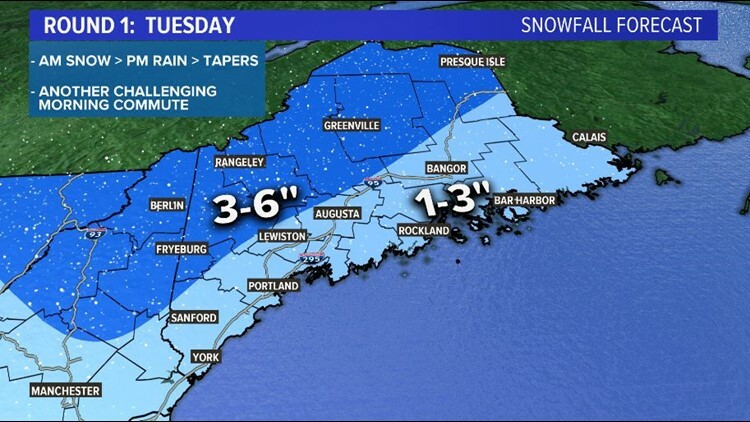 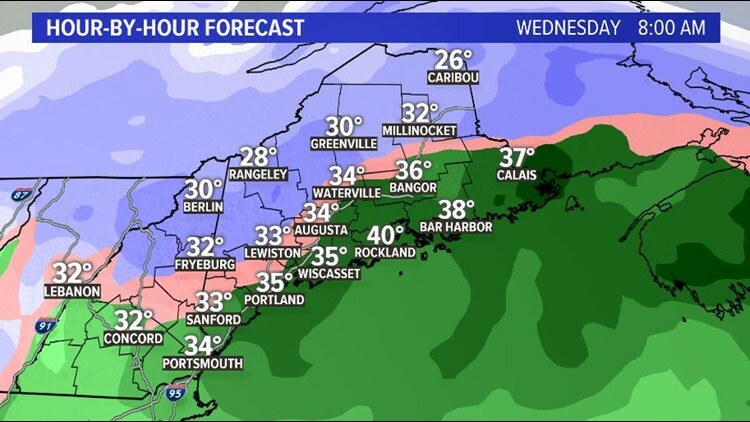 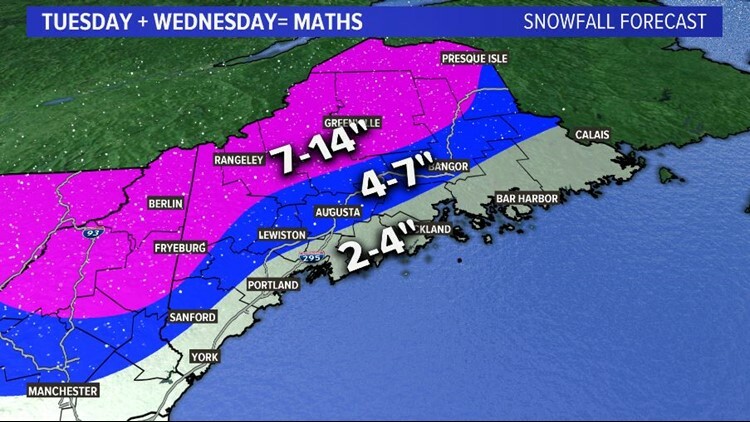 The coast will end up with around 2-4", inland (including Sanford, Lewiston, Augusta, & Bangor) will end up with closer to 4-7", and the mountains will be in the 7-14" range.